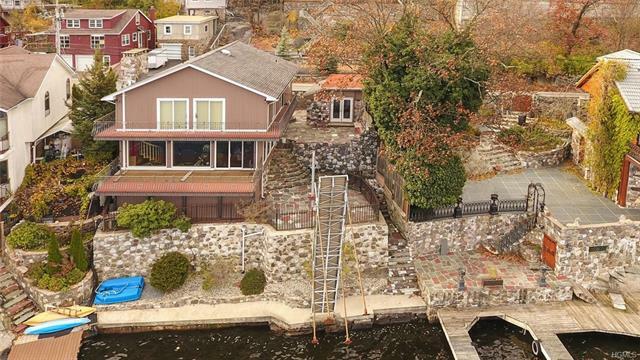 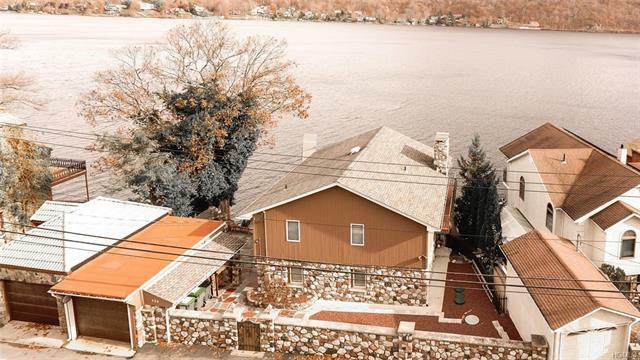 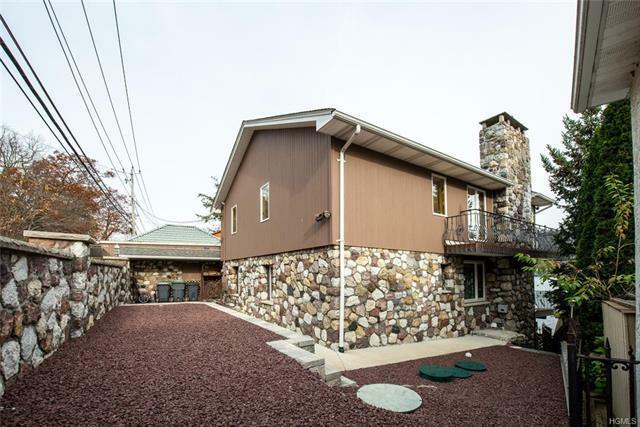 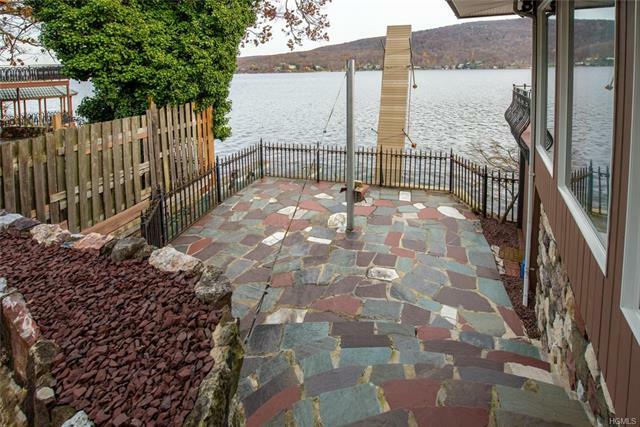 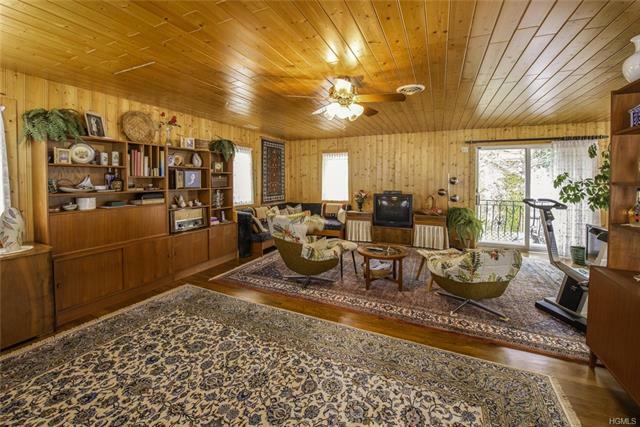 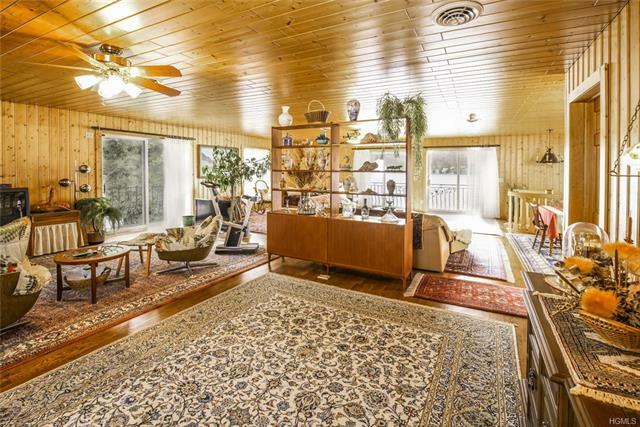 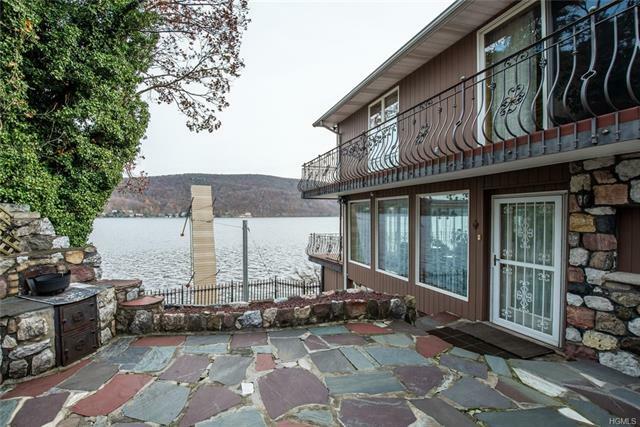 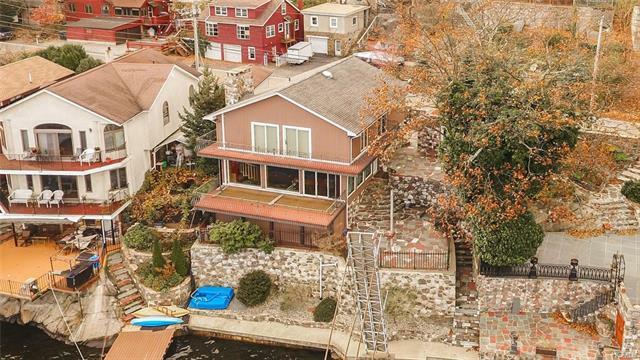 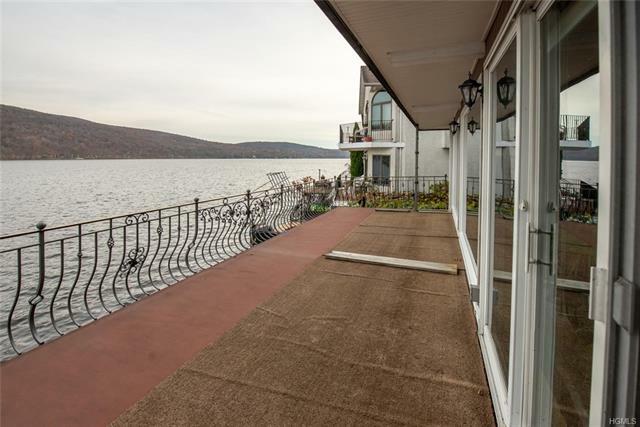 GREENWOOD LAKE Lakefront home with dramatic Easterly views across the lake & deep water location. 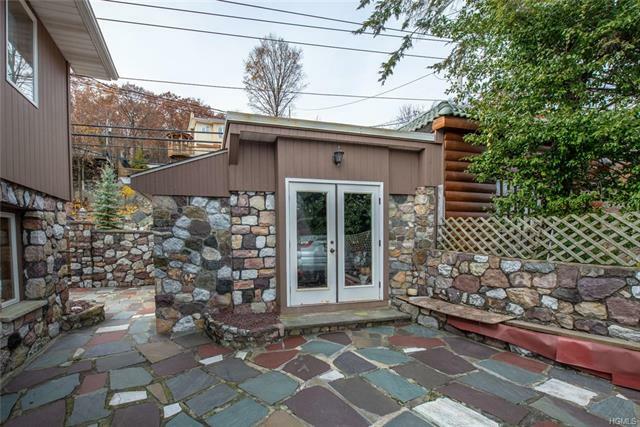 Stone walls offer privacy from the outside world, & a unique retreat for weekend or year round living. 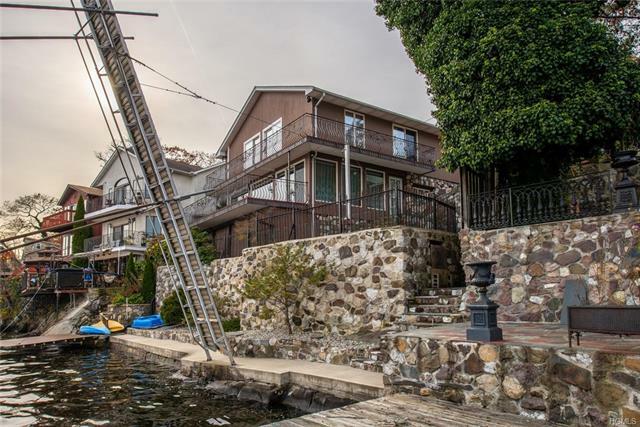 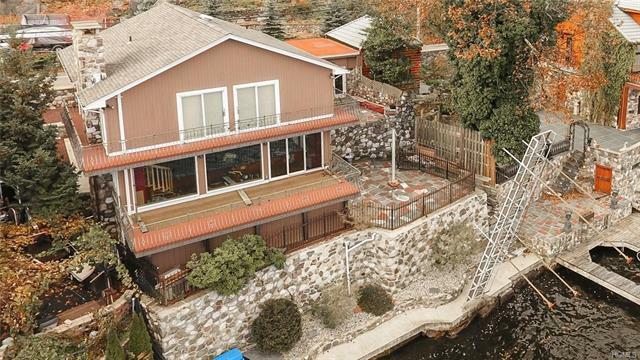 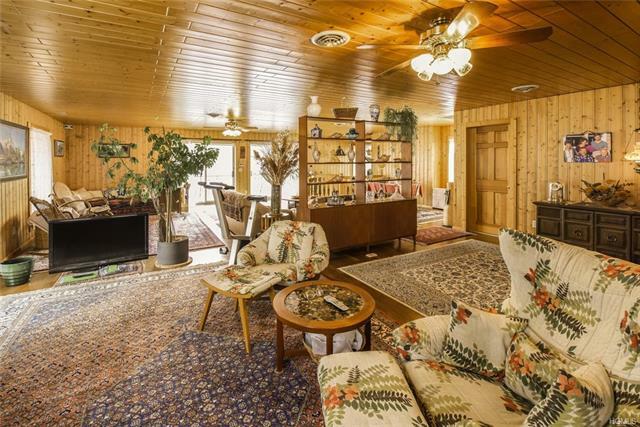 Owned by the same family for over 34 years, this piece of paradise boasts Norwegian pine interior walls, a custom made Austrian wood staircase, & dramatic iron railings from Austria on the rear deck, overlooking the lake. 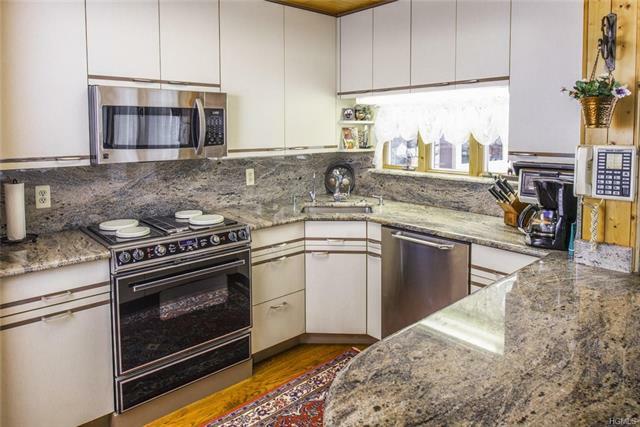 The kitchen is tastefully updated with European style cabinetry, & granite. 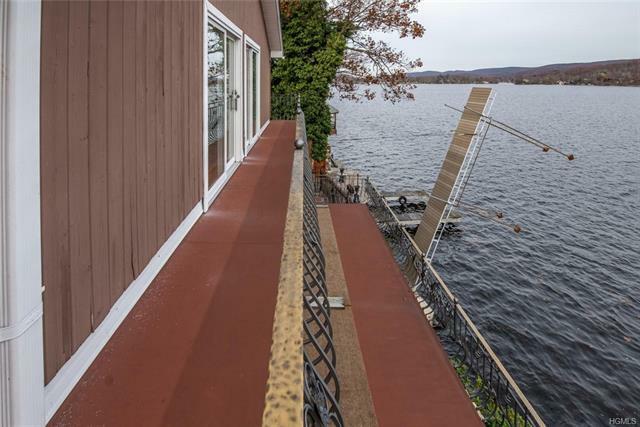 There's a wall of windows on each of the main & second levels, each with their own wrap-a-round lake view deck overlooking your private dock & lakefront. 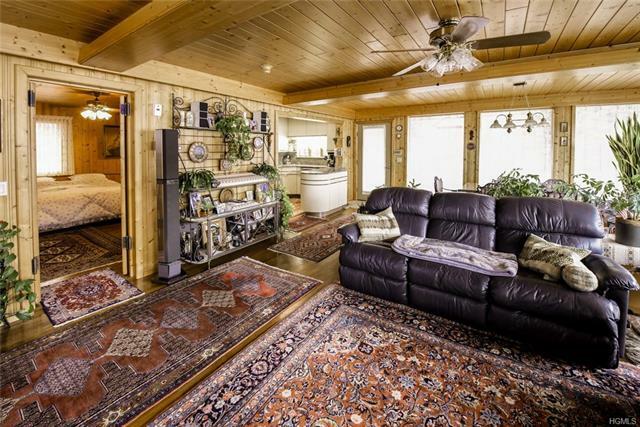 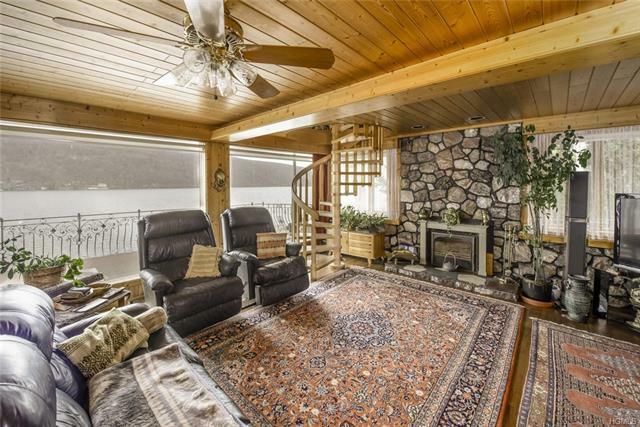 The first level is highlighted by the large stone fireplace with wood burning insert to cozy those chilly nights. 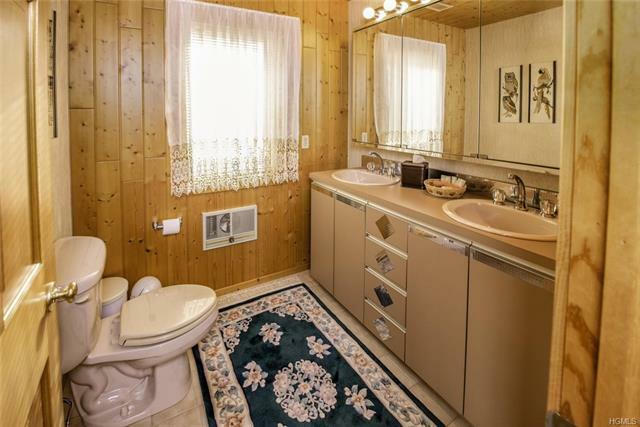 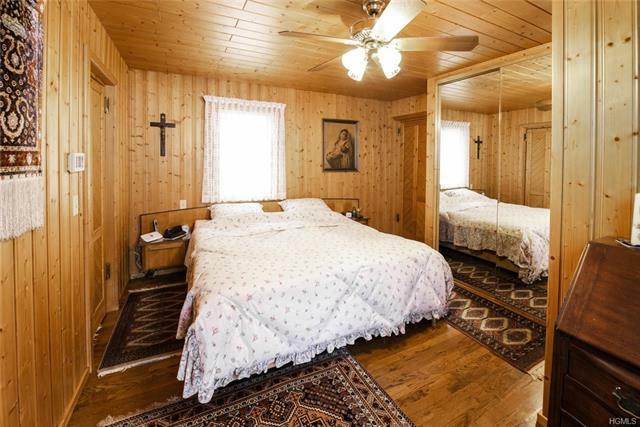 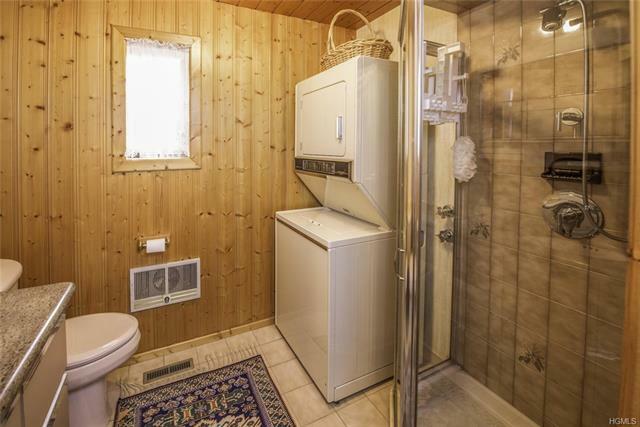 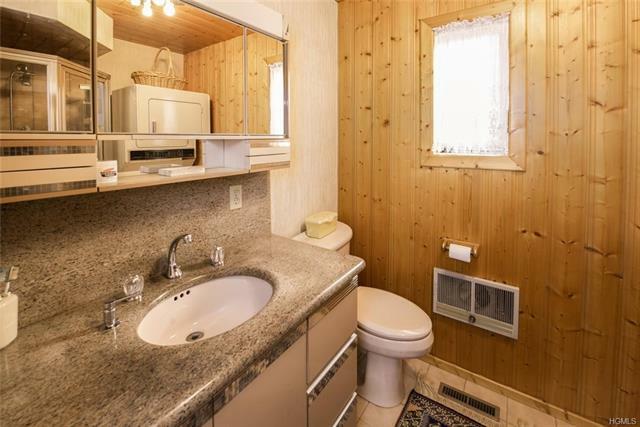 There;s a first floor master bedroom with a private bath, that still offers access to guests. 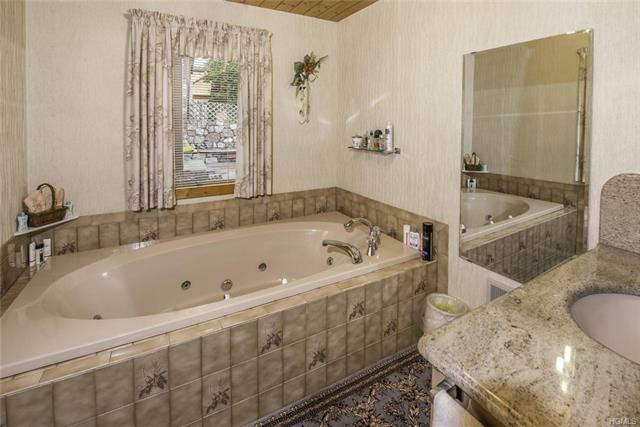 The second floor is huge, & currently set up as a great room & another full bath. 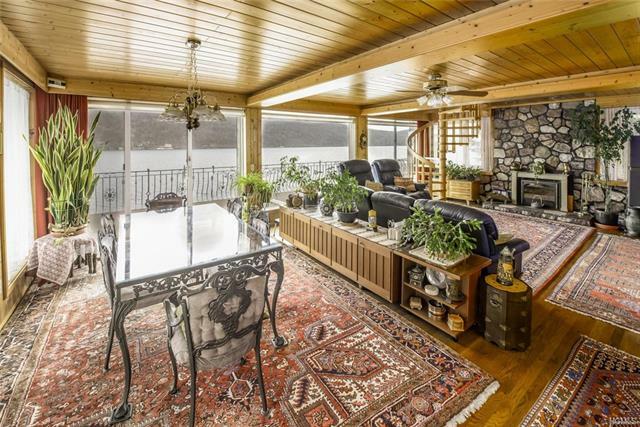 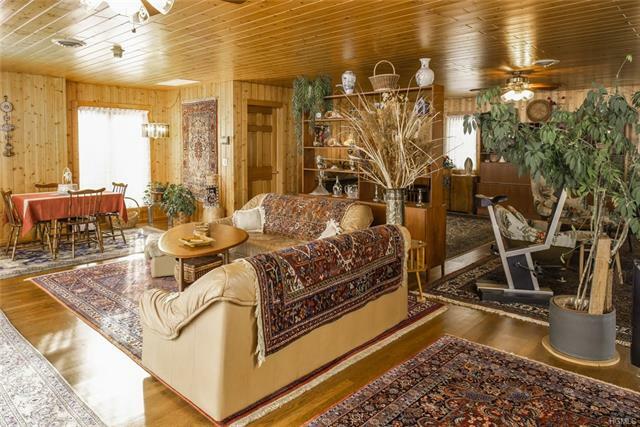 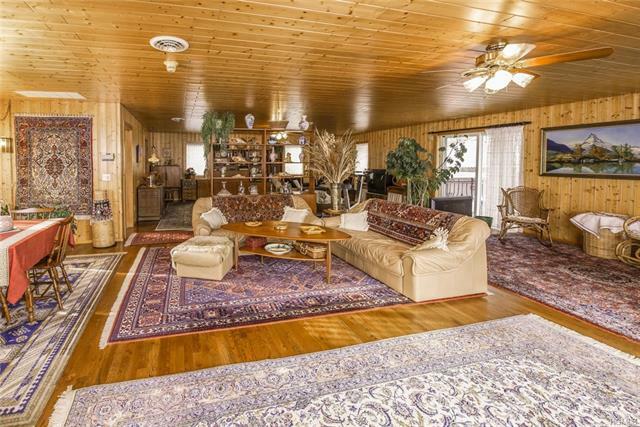 Don't miss this chance on a fantastic lakefront home.